I'm weird and eccentric in some sense. I knew it since I was little, I'm quite different from the others. The experience I'm searching for in life varies from my siblings and relatives' kids and I don't know why. But I'm glad I turn up alright, and proud to say I'm bold to accept things that are more challenging when it comes to all aspect of life. 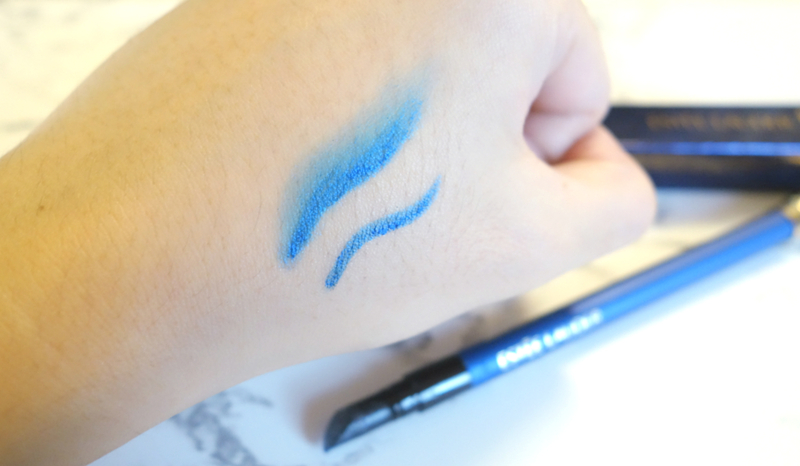 Same goes to my choice of eyeliners. I have no idea why we have to stick to boring black eyeliners everyday when there are so many colours available as choice! There are only handful of challenging souls in Malaysia when it comes to beauty/makeup/fashion choices I think. So, I decided to spice things up a bit last week and try out Estée Lauder's Double Wear Stay-in-Place Eye Pencil in Cobalt Blue! Blue is the warmest colour ain't it? 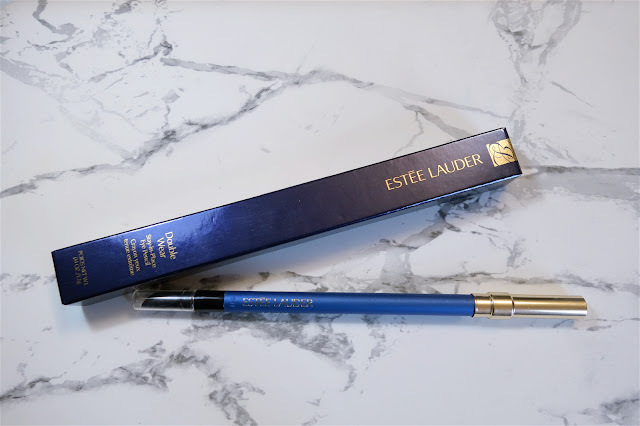 What I like about Estée Lauder's Double Wear Eye Pencil is that it is so smooth to draw on, hence you can lined your eyes smoothly without having to worry about crooked lines and uneven colours. Very, very long lasting and water resistant, despite I'm always have trouble with my oily eyelids, this eye pencil colour managed to stay on for long hours without glide off. 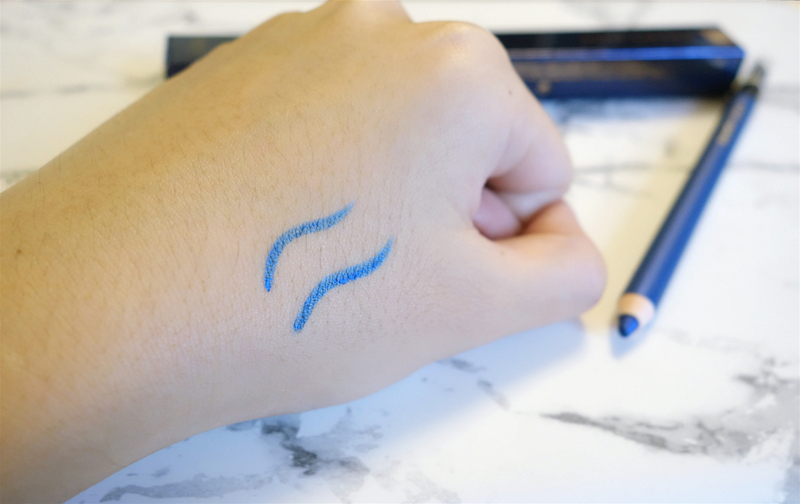 Blue eyeliners surely brings out one's personality and enhanced sense of fashion when it comes to an overall look. 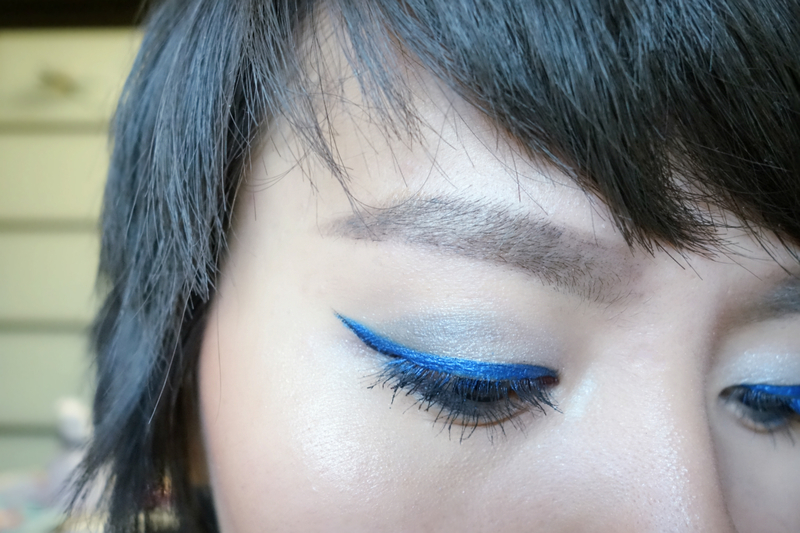 This cobalt blue eye pencil beautify my eyes in just few strokes and bring up my moon in an instant. 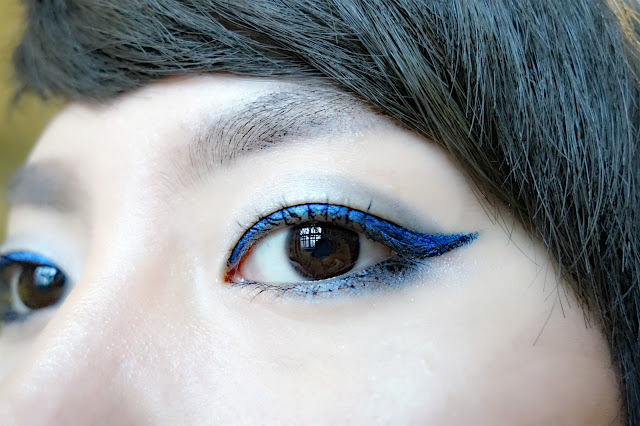 I'm gonna try blending of more colours using this cobalt blue eyeliner soon so stay tuned to more of my makeup style both in this blog and instagram! Was thinking about getting similar to this but it was of another company and its price wasn't that low too. Thank God I found your post in time. Going to buy this one for sure.